Home » Blog » Selecting the Best Materials for your Machining job. 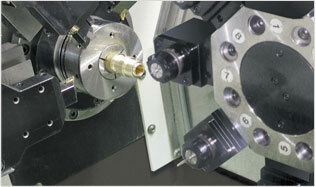 Machining Design Associated Ltd. is able to assist your company at any stage of manufacturing. When it comes to material choice for a certain application we have many years of experience in this area. Whether you require a Stainless Steel that is better for corrosion resistance, an aluminum that is better for anodizing or a plastic that is better for wear resistance, we will help you make the right choice. A customer came to us with a drawing calling for a precision CNC Machined Part to be made from 316 stainless steel. After assessing the project and the function of the material we offered 303 Stainless as an alternative to the job. The 303 Stainless worked perfectly in their application, saving our customer thousands of dollars. Choose the right material for your machining job to assure functionality and possibly cost savings.